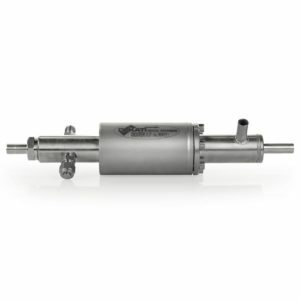 The Dekati® Engine Exhaust Diluter DEED is an engine exhaust conditioning system that fulfills all requirements and recommendations set forth by EURO 6 legislation for a VPR (Volatile Particle Remover). 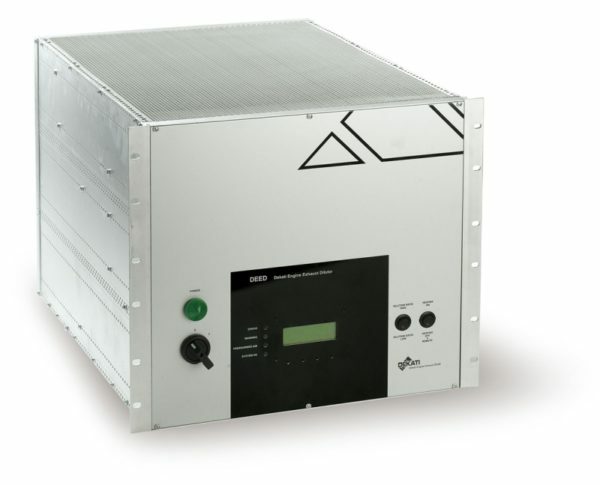 The DEED unit can be used together with any particle concentration or size distribution measurement device since the sample at the outlet of the DEED is in ambient temperature and pressure, and the pressure fluctuations are minimal. Each DEED unit is calibrated for PCRF (Particle Concentration Reduction Factor) and evaporation efficiency as required in the EURO 6 legislation and provided with a calibration certificate. The operation of the DEED is based on two particle number diluters (PND) and an evaporation chamber between the two diluters. The diluters used in the DEED system are Dekati® Ejector Diluters that have a stainless steel, no-moving-parts construction. This provides the needed reliability even for long term operation and makes the whole system simple and easy to operate. An additional, optional dilution stage is placed in front of the second Dekati® Diluter to further increase the dilution factor. All the components of the DEED system are contained in a rack mountable cabinet.